Below you fill find all funeral homes and cemeteries in or near Titusville. 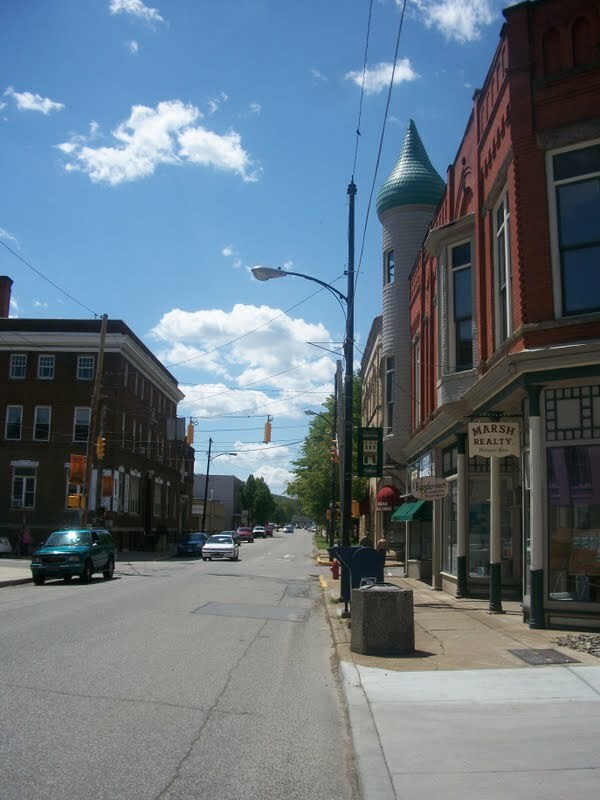 Titusville is also known as: Crawford County / Titusville city. Zip codes in the city: 16354. Some of the notable people born here have been: (skeets martin), (ralph dunn), (thomas griffin (baseball)), (helen jepson), and (ray tesser). It was written on July 27th, 2018 that Janet Marie Hillard (York) passed away in Titusville, Pennsylvania. Ms. Hillard was 74 years old and was born in Robinson, IL. Send flowers to share your condolences and honor Janet Marie's life. It was reported by Star Beacon on March 19th, 2018 that Gretchen Sue Baugher (Lundberg) passed away in Williamsfield, Ohio. Ms. Baugher was 79 years old and was born in Titusville, PA. Send flowers to share your condolences and honor Gretchen Sue's life. It was disclosed on October 19th, 2016 that Joyce E Fenstermaker (Fenstermaker) died in Titusville, Pennsylvania. Ms. Fenstermaker was 71 years old. Send flowers to share your condolences and honor Joyce E's life. It was disclosed by Centralia Sentinel on August 19th, 2016 that Gary Lee York passed away in Mt Vernon, Illinois. York was 69 years old and was born in Titusville, PA. Send flowers to share your condolences and honor Gary Lee's life. It was revealed by Star Beacon on May 29th, 2016 that Kathleen Elouise Carlson (Prenatt) passed on in Saybrook Twp, Ohio. Ms. Carlson was 90 years old and was born in Titusville, PA. Send flowers to express your sorrow and honor Kathleen Elouise's life. It was revealed by Tampa Tribune on May 18th, 2016 that Dwight M "Dewey" Handley passed away in St Petersburg, Florida. Handley was 75 years old and was born in Titusville, PA. Send flowers to share your condolences and honor Dwight M "Dewey"'s life. It was disclosed by Star Beacon on April 14th, 2016 that Helen V McGauthiar (Goodwill) died in Chardon, Ohio. Ms. McGauthiar was 86 years old and was born in Titusville, PA. Send flowers to express your sorrow and honor Helen V's life. It was revealed by The Daily Journal on November 7th, 2015 that Margaret J Poulson (Coates) passed on in Vineland, New Jersey. Ms. Poulson was 91 years old and was born in Titusville, PA. Send flowers to express your sympathy and honor Margaret J's life. It was written by Modesto Bee on November 1st, 2015 that Mary Ann Smith passed away in Modesto, California. Smith was 94 years old and was born in Titusville, PA. Send flowers to share your condolences and honor Mary Ann's life. It was reported by The Columbian on June 28th, 2015 that Sharon Irene McDuffie (Gray) passed on in Camas, Washington. Ms. McDuffie was 67 years old and was born in Titusville, PA. Send flowers to express your sympathy and honor Sharon Irene's life. It came to be known as "Black Friday," when almost of oil burned after an oil tank was hit by lightning. That fall, President U. Within 14 years, others bought and improved the land lying near him, along the banks of the now-named Oil Creek. The Union City & Titusville Railroad was built in 1865, which became part of the Philadelphia & Erie Railroad in 1871. Another lightning strike in 1894 resulted in lost in a fire. The official website for the city of Titusville is http://cityoftitusvillepa.gov/. Her grandfather Theodore Edward Tack, a pioneer in the oil business in North America, founded with his two brothers the American Petroleum Company in Titusville, Pennsylvania in 1892 ... Orleans at Lake Lawn Metairie Funeral Home later in time. Barco Oncology Institute, 16792 Conneaut Lake Road, Meadville, Pa. 16335. Please sign the guestbook at www.Hatheway-Tedesco.com Arrangements are in the care of Hatheway-Tedesco Funeral Home and Crematory, 614 Baldwin St., Meadville. Listing all funeral homes in Titusville, Pennsylvania so you can easily send flowers to any location (same day delivery) or find any funeral service. Leo N. Hennes Funeral Home, Inc.
Find a Funeral Home inTitusville, Pennsylvania PA to provide the caring burial and ceremonial services your family deserves. We work with local florists and flower shops to offer same day delivery. You will find budget sympathy flowers in Titusville here. Our funeral flowers are cheap in price but not in value.